Today, I did a smaller hike to the Greeley Ponds off of the Kancamagus Highway, plus an excursion a little further down the road to the Sabbaday Falls. I did today’s hikes with my sister and brother-in-law, both in substantially better shape than me. Tomorrow is the big hike of the week – up to Little Haystack via Falling Waters trail, then across the Franconia Ridge trail to bag the Mt. Lincoln and Mt. Lafayette summits. 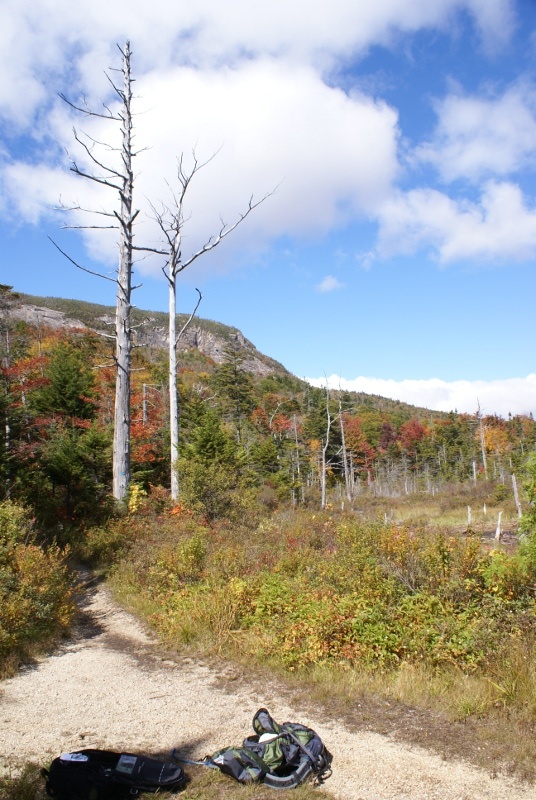 Descent will be via Greenleaf trail and the Old Bridle Path trail to complete the loop. It’s 8.9 miles, estimated at over 6 hours. I’m doing this hike with my wife who is, again, in better shape than me. It’s no fun being a recovering fatty. Here’s a couple of shots from my hikes today, the first from Greeley Pond – I know, there’s no pond showing, but it was one of the more interesting shots – imagine the pond off the right and behind me. 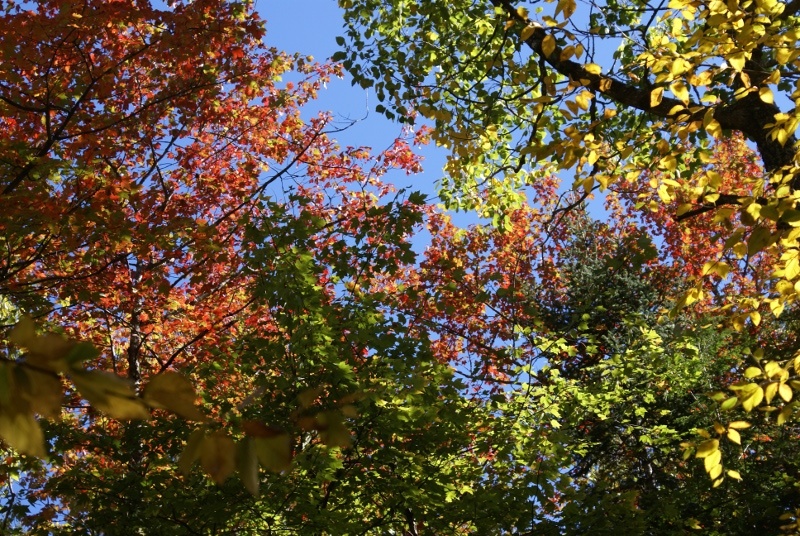 The second shot is of fall colors at Sabbaday Falls – I know, no falls, but the colors are gorgeous.